Kids love innovation. They want to have something different always. From toys to furniture they like things to be different and unique. The kids always need something different. Just like any other room of your home your kids room needs a furniture which can serve their needs like playing, eating, studying or doing any creative activity. Keeping compact the pallet kids table with stools can do all this very well. 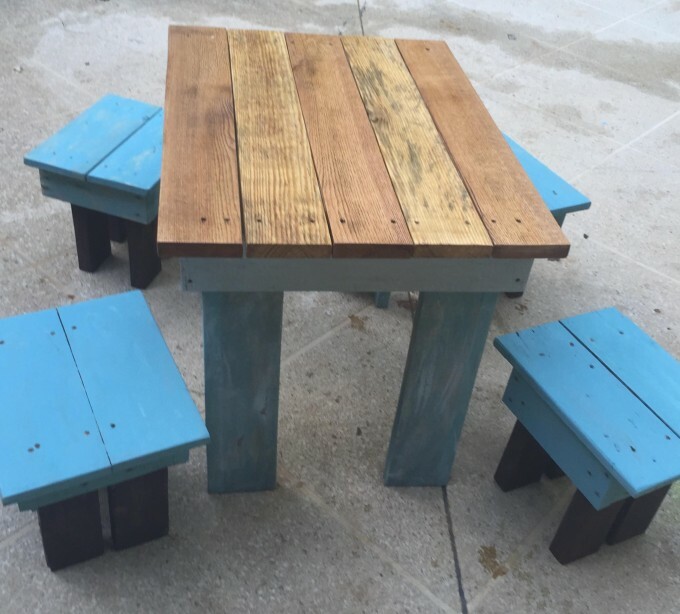 The pallet made kids table with stools is a great piece of furniture for kids to be kept both inside and outdoors. 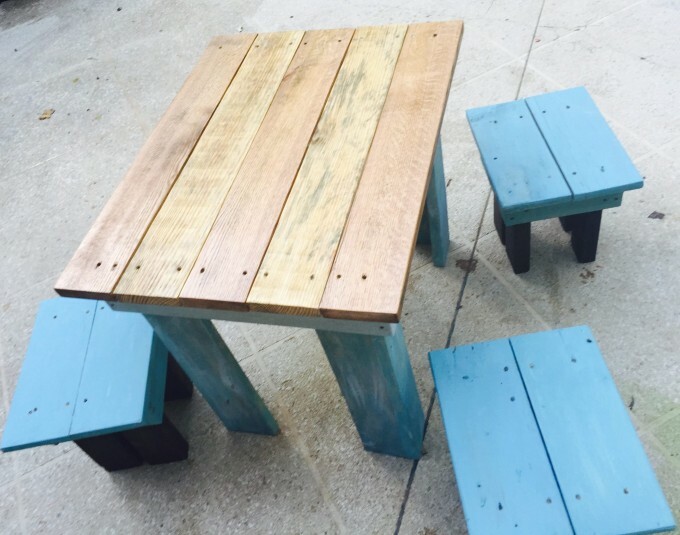 The pallet made kids table with stools is an easy to make cheaper option to give your kids a fun place. 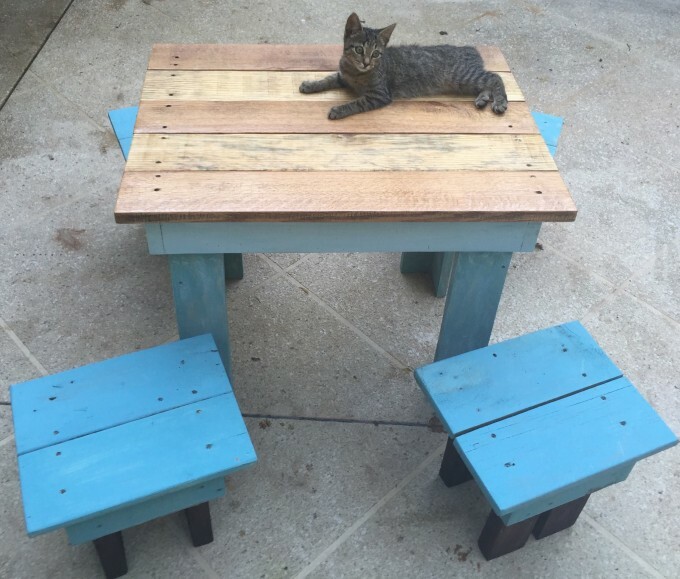 The recycled pallet wood is an easy to get material. This can be found in your junkyard or from a nearby wood shop in your area. The pallet wood should be strong enough to support the things to be placed on the table, or to hold the kids sitting on the stools. 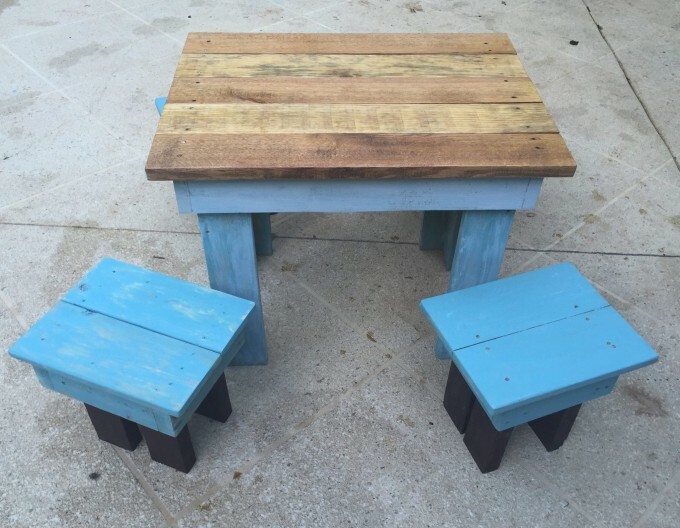 The pallet table stool set can be a great activity area for kids of all ages. If placed in room it can help in becoming studious activities, and can be a playzone when kept outside. The recycled pallet wood have to be collected. Dissemble and then assemble the recycled planks after sanding. As per the image develop a pallet idea for the pallet wood project of the table and set. Take the pallet planks to join into the table and then into stools. The pallet wood furniture adds beauty to the home. This piece of pallet furniture would just need to assemble the planks with nails and some screws you can have a great pallet product. You can either keep it rustic or add colour to the pallet made kids table and stools as per their choice of colours.